The gate was locked again Monday after men in pickups opened it to do some work at the softball fields in Bryant Park. Speaking of Bryant Park in Albany, we now have an answer as to why the entrance and exit gates were still locked on Monday: Fear of flooding. Bryant was closed Feb. 25 because of what the city said at the time was rising water in the rivers flanking the park. The closure keeps cars from entering the park, but people can walk in, as they did when I went by there on the bike Saturday. One can only speculate on the howls of horror emanating from the hoi polloi were park gates opened and a small child were to be sucked into the river’s icy grip. “Off with their heads,” would be the cry as justice demands. Rick Barnett may seem an overly-cautious bureaucrat, but he understands the public’s lust for blood. He is wise beyond his years. That park may not open until July now that Hasso Hering has exposed the truth. 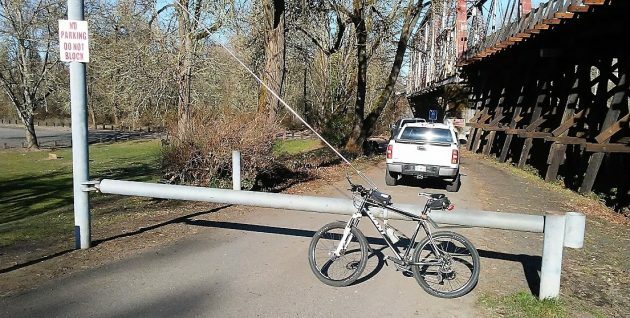 We may have discussed similar back in your days at the DH and mine with Parks & Rec, For years now technology has made it increasingly easy and accurate to track potential high water levels. 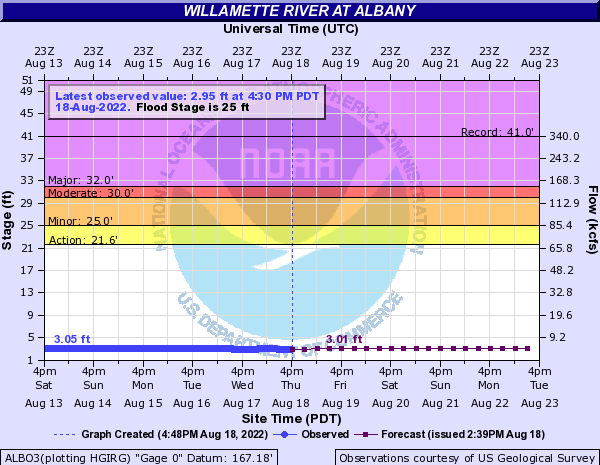 A current link to the National Weather Service Advanced Hydrologic Prediction Service for Albany, Oregon follows, should it be of interest. These folks are good, they take the guess work out of deciding when Bryant Park will be underwater. I agree with using the NWS projections regarding high water potential. Takes the guess work out of it. Does Mr. Barnett use that source or just how he feels about threat? The NWS is a socialist organization and should not be trusted. Key word is prediction. They are predicting that there is not likely to be a quick melt and release from the dams. We know how good these weather predictions are.